File image of a mountain lion. Two hikers on Grizzly Peak spotted a mountain lion Saturday, prompting warnings to individuals to keep a sharp eye out, University of California at Berkeley police said Sunday. 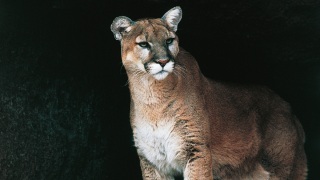 The two hikers saw what they believed was a mountain lion about 75 feet away, police said. In the past couple of years, several sightings of mountain lions have occurred in the hills above the Berkeley campus. Police say people should avoid hiking or jogging alone, especially during dusk and dawn when lions normally do their hunting. They also suggest making plenty of noise to reduce the chances of surprising a lion. Children and pets should be kept in sight when hiking, and within arm's reach. A good walking stick can help keep a lion at bay, police said. Most lions will avoid confrontation, so hikers should not approach them, police said. If a hiker stumbles upon a mountain lion, instead of running, police suggest waving arms or throwing rocks. If attacked, fight back, police said. People have successfully fought back with rocks, sticks or bare hands.